***Ford F-150 XLT Super Crew 4WD*** 385hp 5.0L V8, 5.5' Short BED, Very CLEAN, Recent TRADE-IN!! LOW Miles... V8 Engine... JUST Traded and Priced to SELL!! 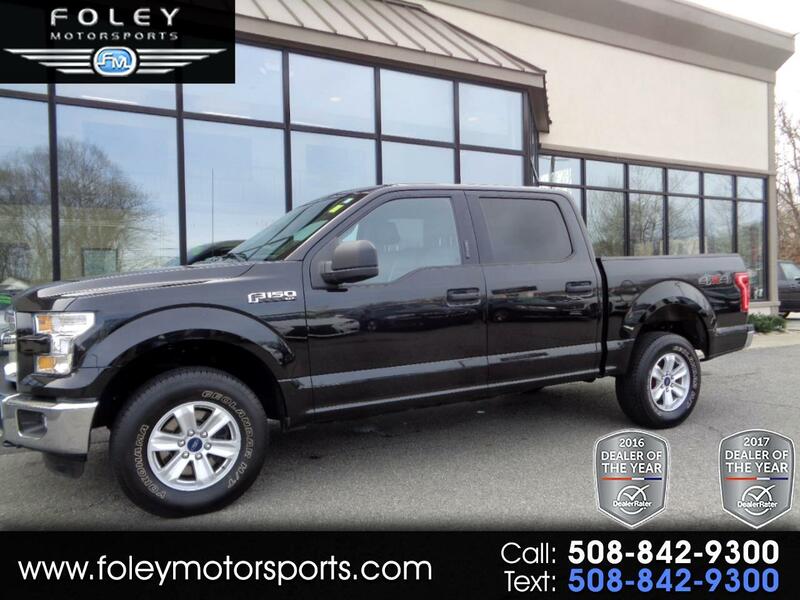 2015 Ford F-150 XLT Super Crew 4WD... Beautiful Tuxedo Black on Gray Cloth Seating... 385hp 5.0L V8 Engine... 5.5' Short BED... TOW Prep... BED Liner... Very CLEAN... Recent TRADE-IN... FORD factory Powertrain Warranty... ONLY 38,597 Miles!! Please feel free to contact our experienced sales team with ANY questions or to schedule a test drive. Buy with confidence from the area LEADER in Pre-Owned LUXURY. Additional 5 Year/100K Extended Warranty Coverage Available. ALL of our vehicles are meticulously detailed and serviced by our factory trained certified technicians. Call or email us at sales@rjfoley.com **$0 Down** 100% financing available with great rates! Trades are always welcome. National and International shipping quotes are available.